I think that the best place for velour is on little kids. It is soft, warm and cushy and Polarn O. Pyret gets it just right with their fantastic colors and patterns each year. Right now, most of the kids' velour separates are about half off. 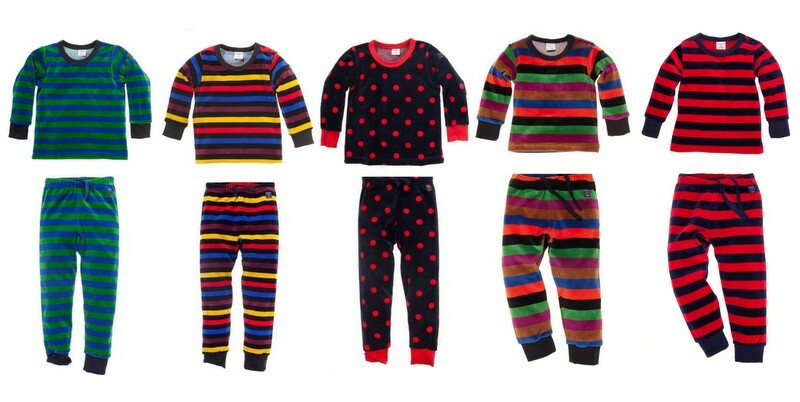 Aren't these the perfect pajamas, or loungewear or really anywhere-wear? Ideal for little babies, too. 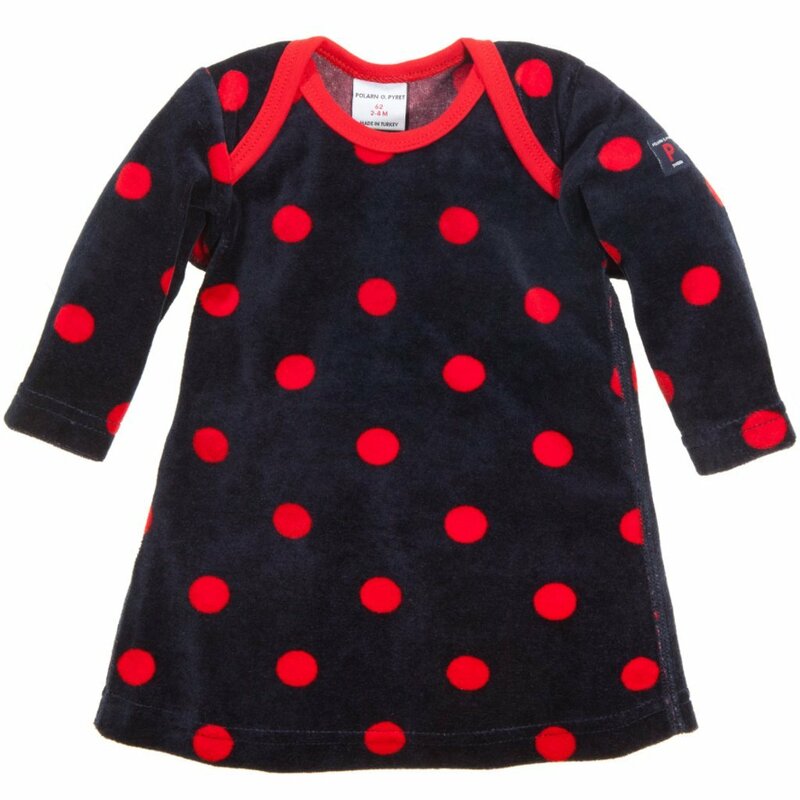 The great thing about this velour stuff is that it is available for little babies up to 12 year-olds. 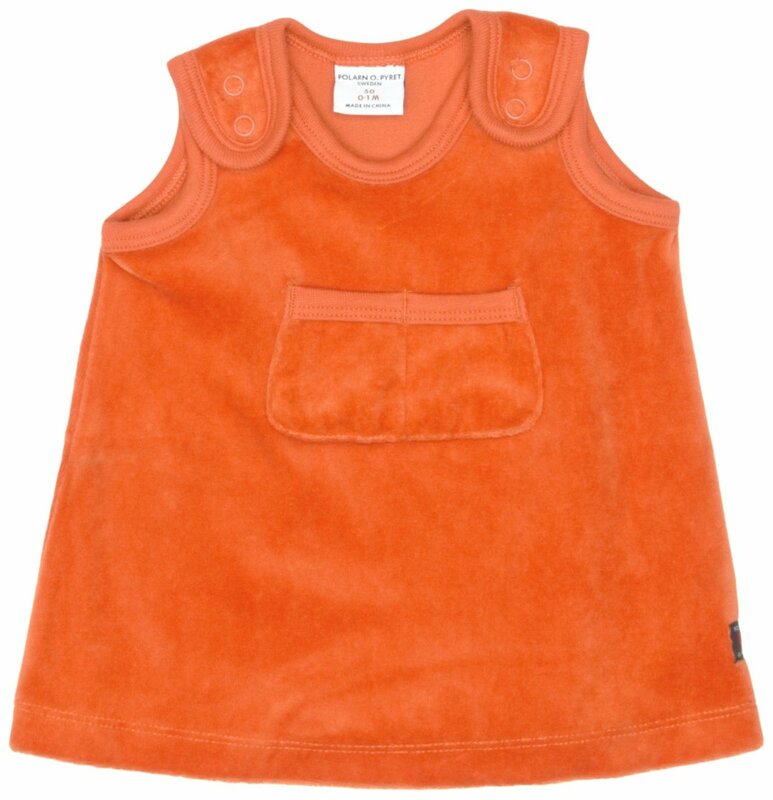 And this little orange pinefore dress (sizes preemie to 6 months) wins the discount award, marked down from $28.50 to $9.97!! Find it here or here. You can buy Polarn O. Pyret items directly from Po.P (this link is to all of their velour stuff), or you can buy them through Amazon. 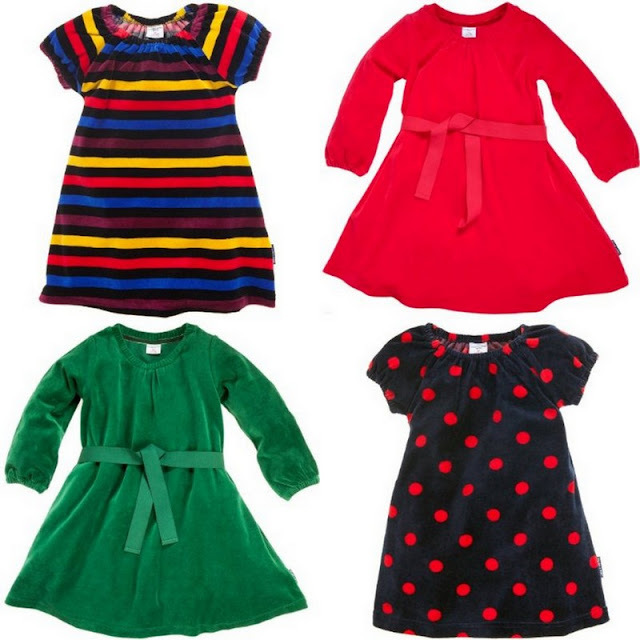 Here are the links to Amazon: leggings , tops , dresses , though I just noticed that not all of the pieces are marked down (like kids' tops in sizes 2-6). For full discount information, double check prices here at Polarn O. Pyret before using Amazon.